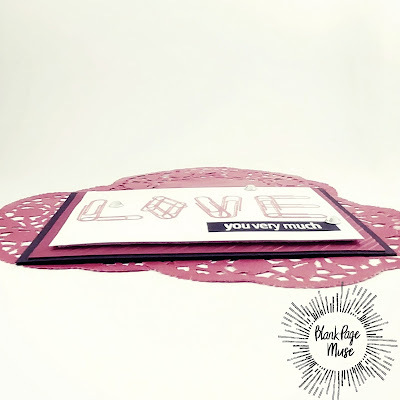 Blank Page Muse: Hold it Together; I Love You! I don't know about you guys but I love office supplies. That's why the moment I saw these darling little paper clip stamps from the by Katy Leitch I just knew that I had to use them in a project!! The paper clip stamps from the Correspondence Pens, Ink, and Postage stamp set. 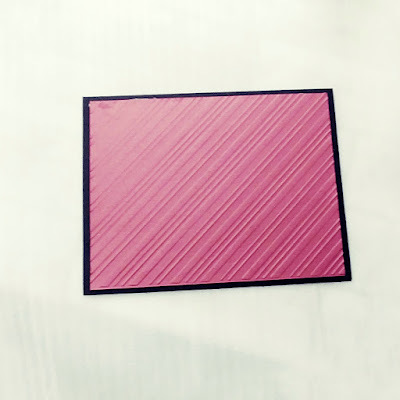 Red cardstock cut to 4" x 5.25"
White cardstock cut to 3.5" x 4.75"
Adhesive backed craft foam cut to 3.25" x 4.5"
Place the paper clip stamps onto a small acrylic block. 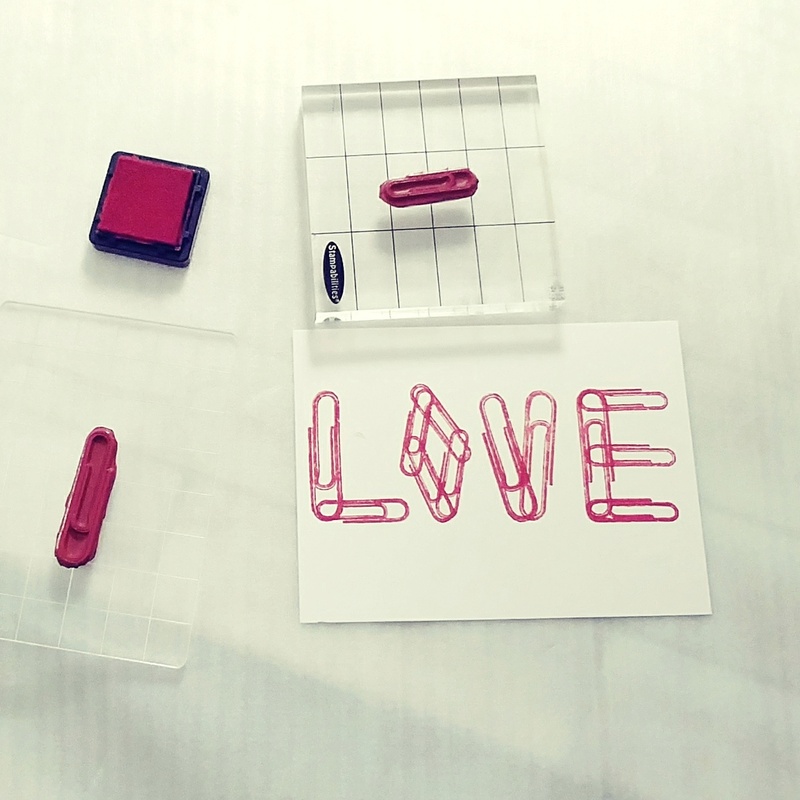 After running an anti static powder tool over your white cardstock piece use the paper clips to spell out the word 'love', alternating between the large and small paper clip. 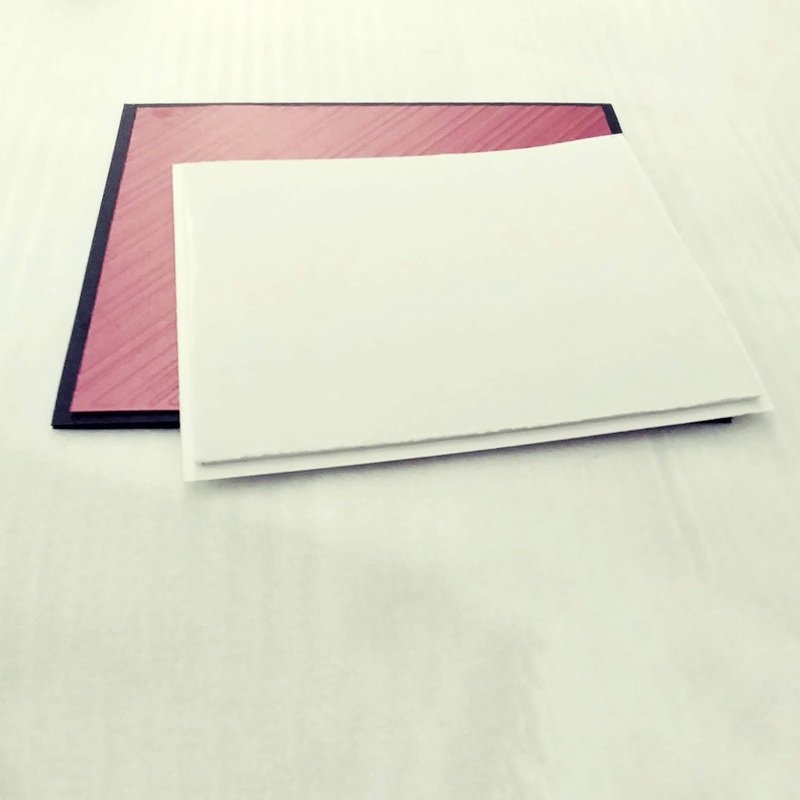 Cover the freshly inked words with clear embossing powder, shake off excess powder and set using your heat tool. 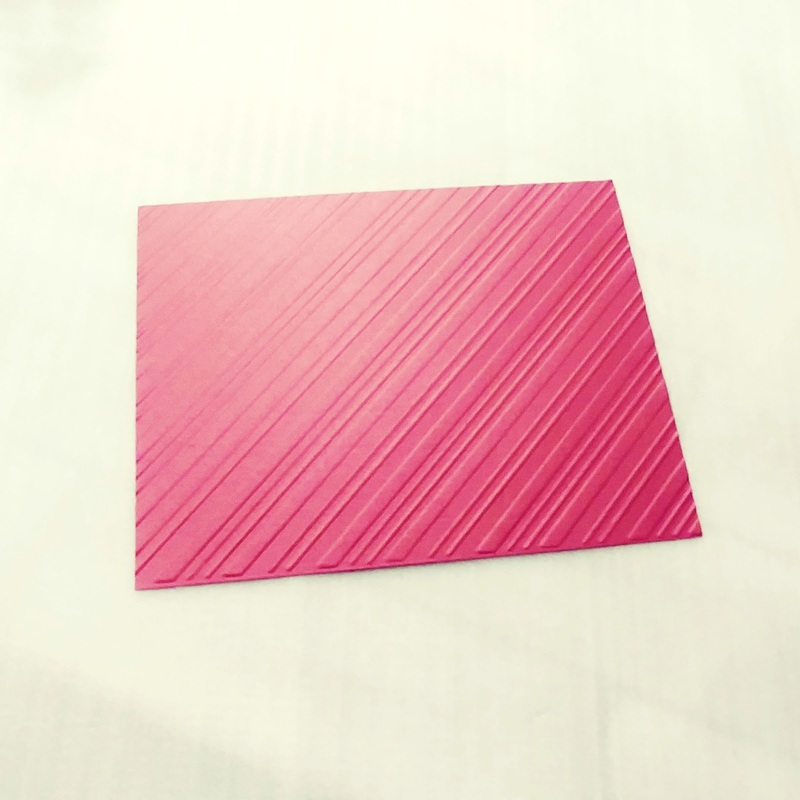 For some great added texture you can use an embossing folder on your red cardstock piece. 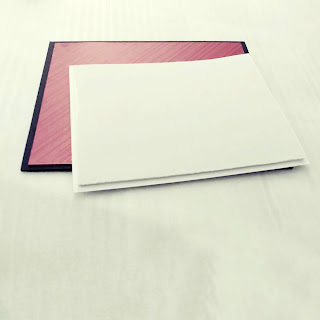 Adhere your red cardstock onto your black card base. 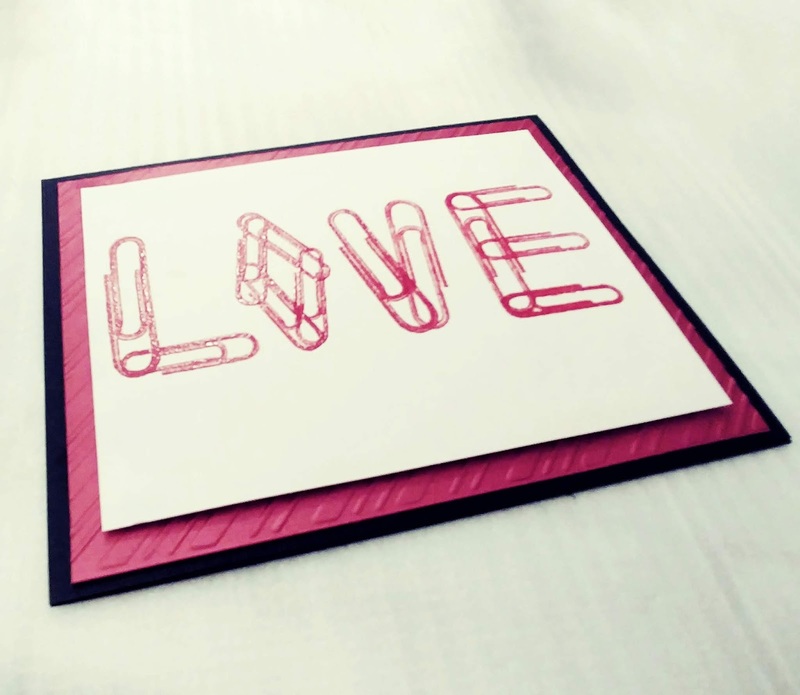 Use your foam tape to add dimension to the Love card. 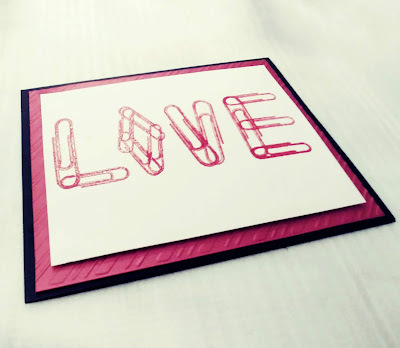 Use white embossing powder on black cardstock for your stamped sentiment. Finish card by adding a few gems. There you have it! 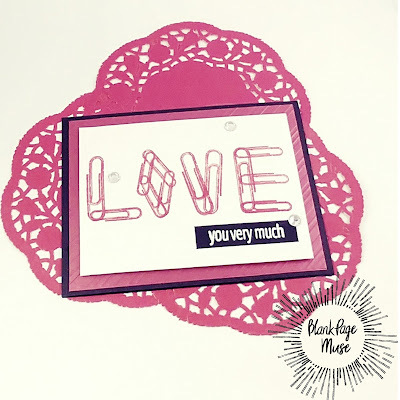 A unique card for you to give to anyone you love. I hope that it inspires you to make a similar card. 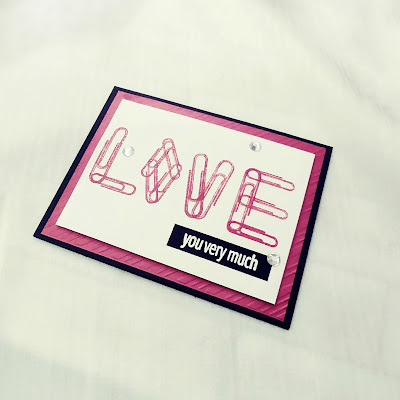 This card is so stinkin’ cute! 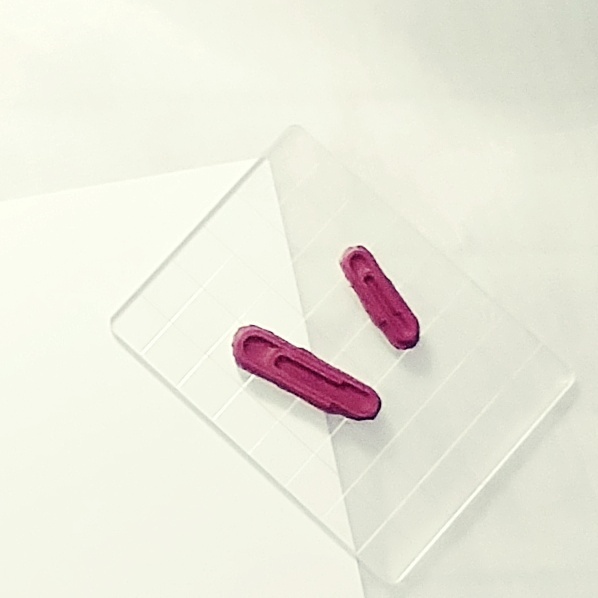 The pink paper clips are cute as can be. I absolutely love that you thought to rearrange them into a word! So creative! So cute and clever!! I thought it was a word stamp also. So creative! I love your design so much Samantha!! Congrats on being their DT member..so happy for you! What an awesome card Samantha! 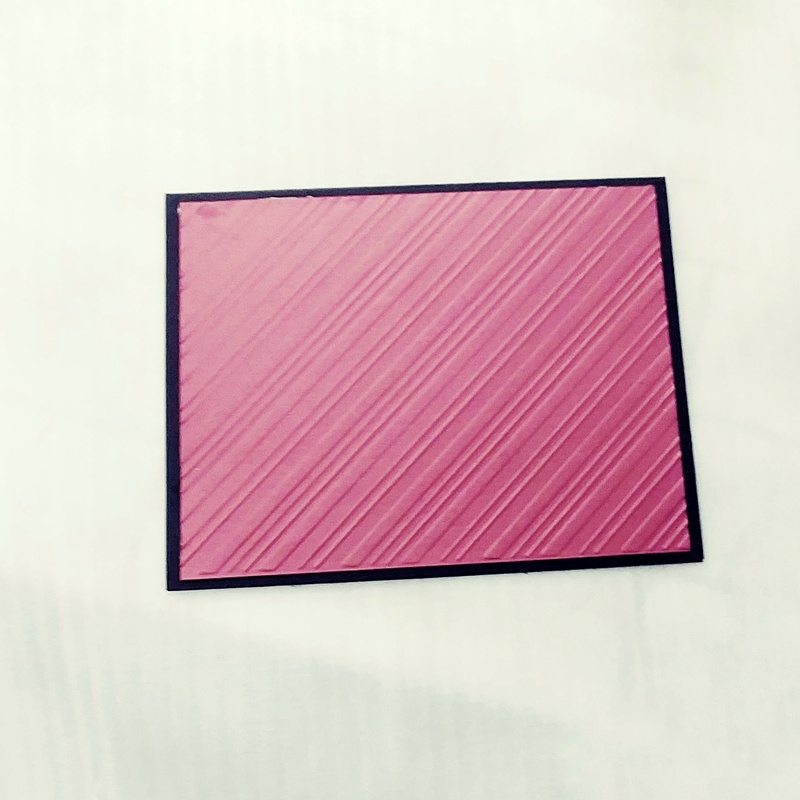 Love your creativity in design! Your use of the paper clips into the word love is brilliant! Thanks for sharing and for the inspiration! So so SO very clever! That is such out-of-the-box stamping, cool! I love your creation and superb photos! Thank you so much!